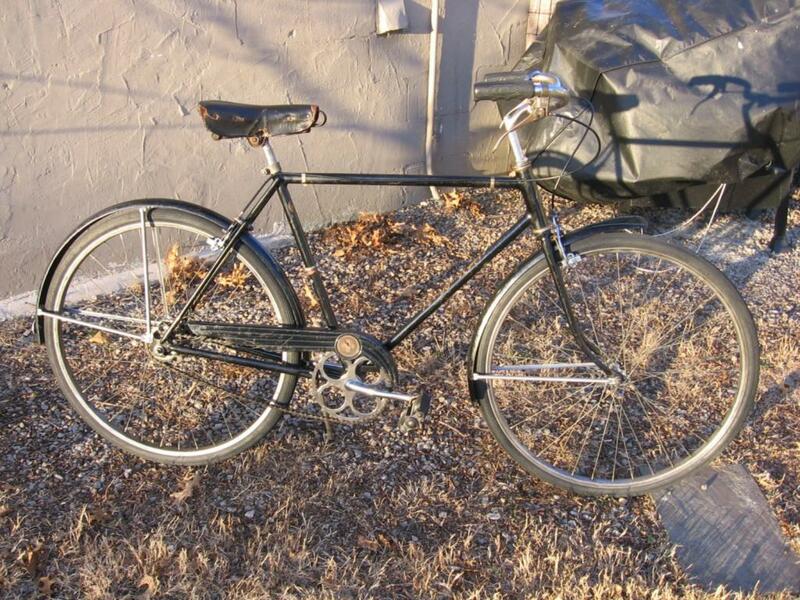 1948 Schwinn New World tourist bicycle featuring a single speed freewheel and “Schwinn Built” caliper brakes. 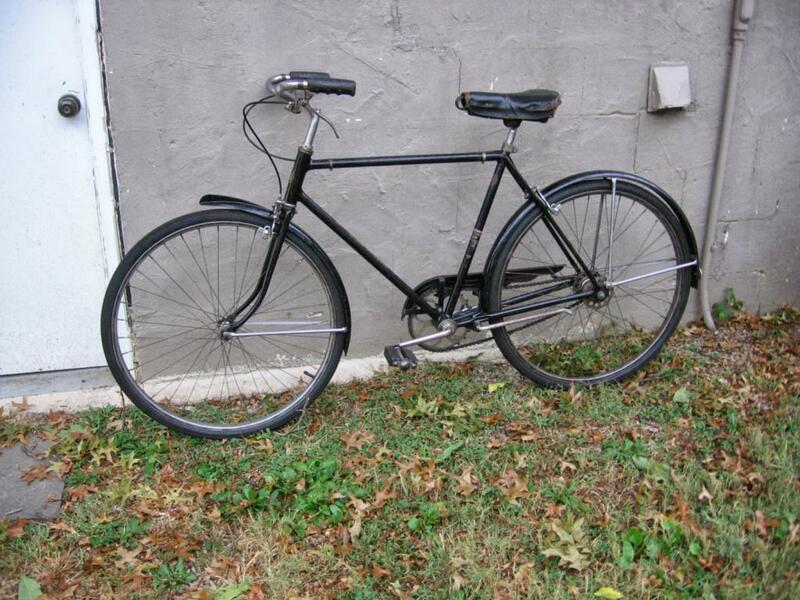 These bicycles could be bought with a variety of equipment and this one features a mixture of heavyweight parts (e.g., “AS” gooseneck stem and skip tooth ashtabula crank set) and lightweight parts (e.g., single speed freewheel and caliper brakes). Frame is filet brazed and surprisingly light.